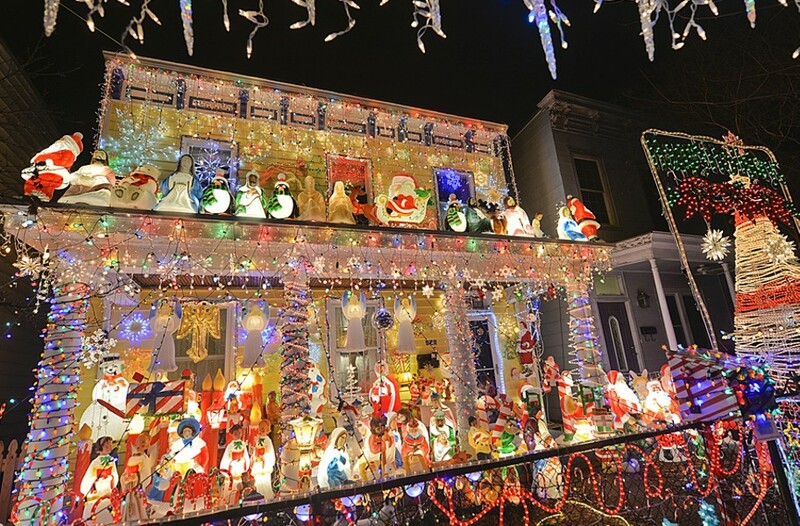 EVENT PICK: Tacky Light Tours | Night and Day | Style Weekly - Richmond, VA local news, arts, and events. It’s that time of year when it just feels right to ogle. Who’s going to blame you with all the boldly tacky lights on houses? It’s become one of Richmond’s most popular annual holiday rites, and there are plenty different options for guides. Here are two: James River Transportation runs tours Dec. 2 through Dec. 20, departing from 900 N. Allen Ave. for $29 per person. Tours depart at 6 p.m. and return at 9 p.m. Another popular option: Winn Transportation gives tours from Dec. 9 through Dec. 23 and offers a longer ride, usually five hours, with light refreshments included. Cost is $25 for children and $30 for adults with rides departing from the White Oak Target at 4521 S. Laburnum Ave. Visit its Facebook page for more details. And just remember: Be courteous to the neighbors next to these electricity-sucking wonderlands. No peeing in flowerbeds — in fact, no peeing period.